I created 2 layouts and will be creating many many more! I have a TON of product left. I used the stamp set for my journaling. 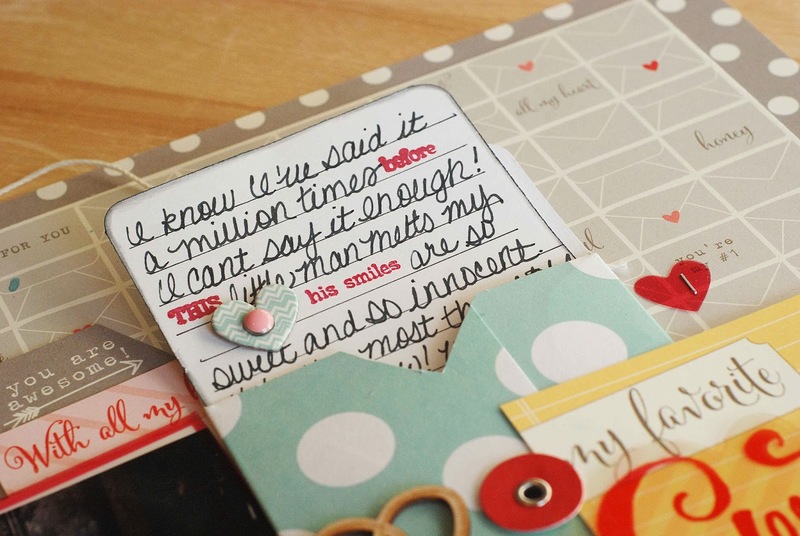 Mixing fonts (and colors) makes the journaling so cute and much more interesting to look at. 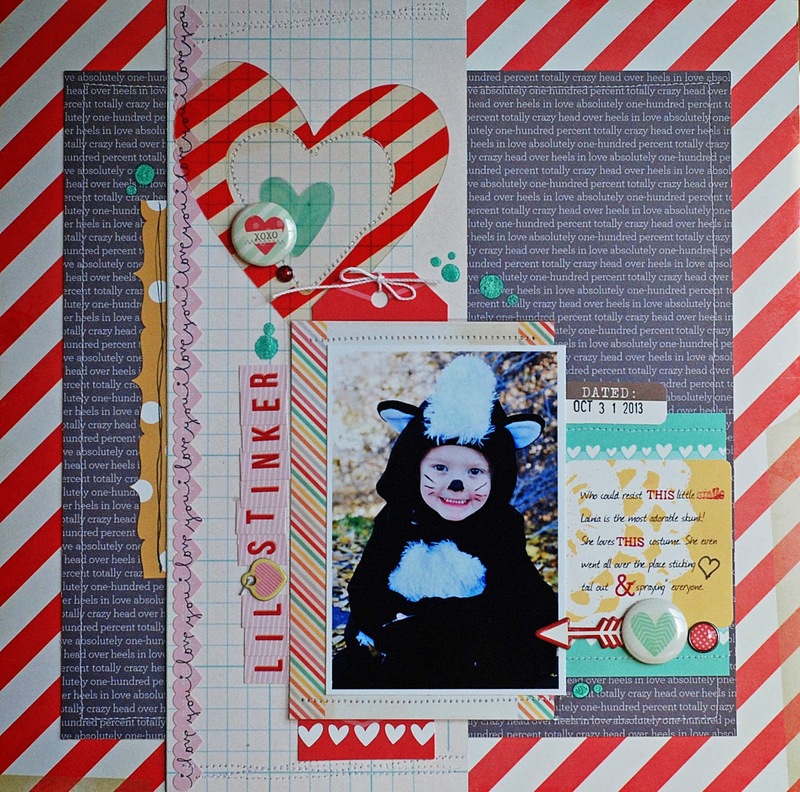 I went out on a limb for this next project and created a layout with a Halloween photo using Valentines projects. I LOVE how it turned out. This is one of my favorite photos. My niece made an adorable skunk! I used the stamp set for the journaling on this project too. 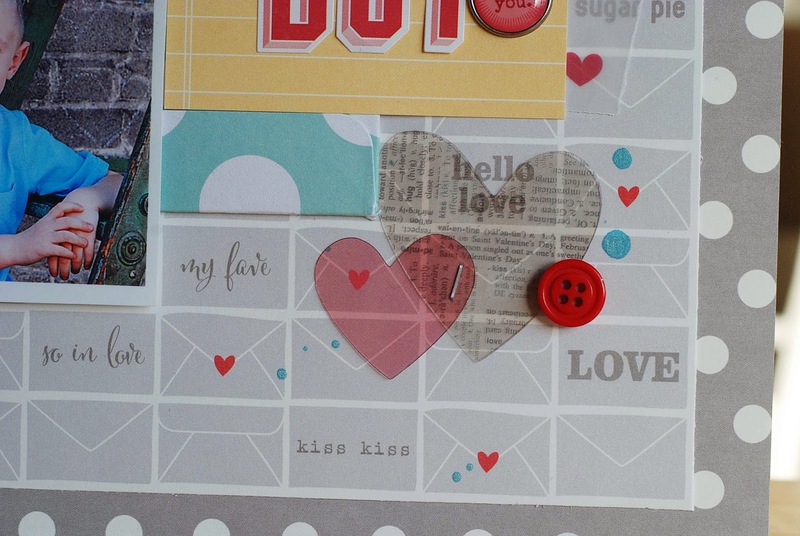 This little yellow strip of polka dot paper is an exclusive paper from the Gossamer Blue kit. It's adorable! Thanks for stopping by today! Make sure you enter your email address in the box to the right ------> so you don't miss out! I've got LOTS of fun things coming up! These are so sweet!! Love the papers!! Sweet layouts! Loving the colors and design! 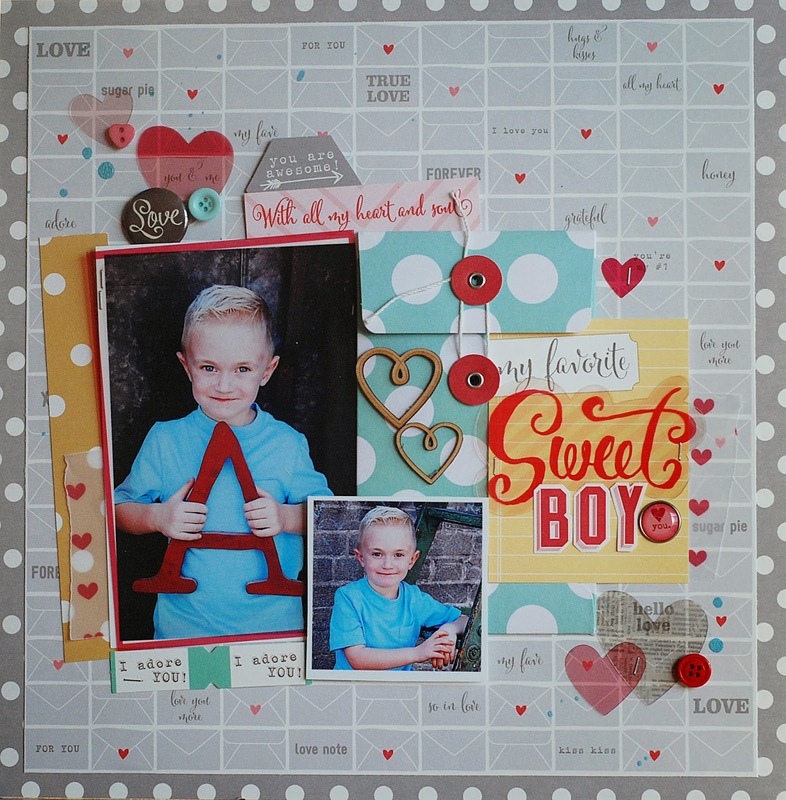 Adorable layouts, with a capital 'A'!! Absolutely going to scraplift that wonky stitching around the heart if I won! lovely layouts! What amazing layouts! The first one is a slim winner for me, they are both so good. 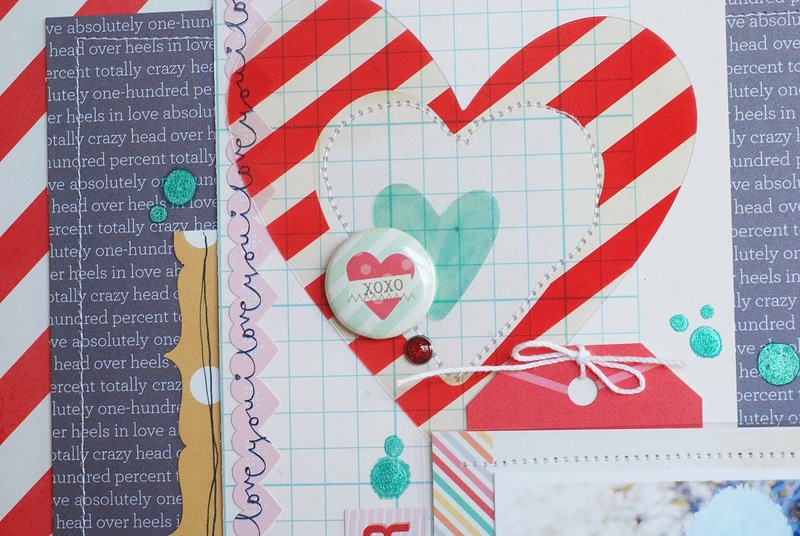 Love the pocket page and the acetone pattern hearts! Fun projects! 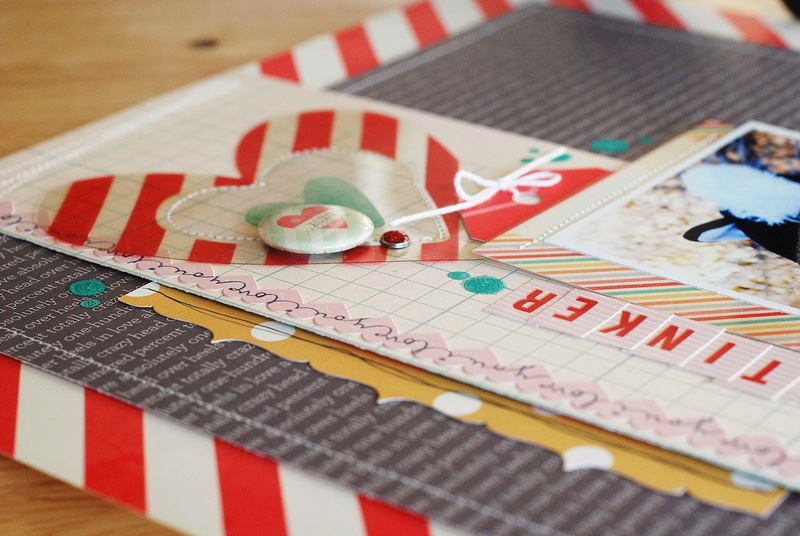 Love how you mixed your handwriting with the stamps for your journaling on your first page, and it's so cool how you made the Valentine products work for your Halloween page too! Your "Lil Stinker" is so cute!! These layouts are adorable!! I love them! Great kit too! I love that envelope! What a great idea for some amazing journaling. Wow!! I love your work. So fun and vibrant! Great page! Your son has such a sweet smile! I love the paper and the lay out!! very awesome! Loving the layouts especially the first one. And those pics...so cute. 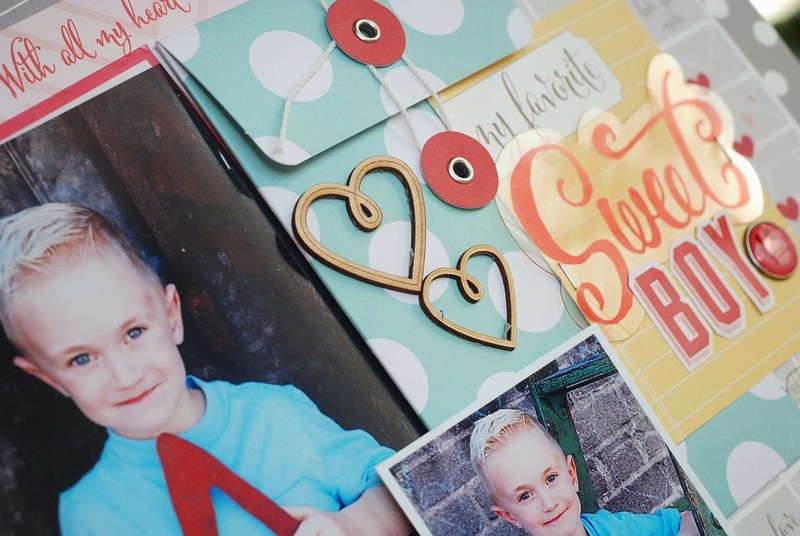 Such sweet layouts, great photos and loving all the fun patterns and embellishments!